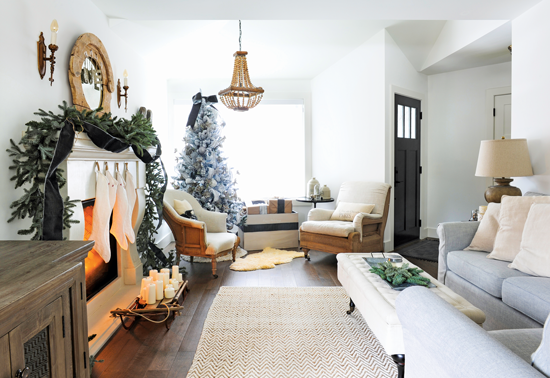 A French-inspired home uses natural elements and a neutral palette to create a winter wonderland. 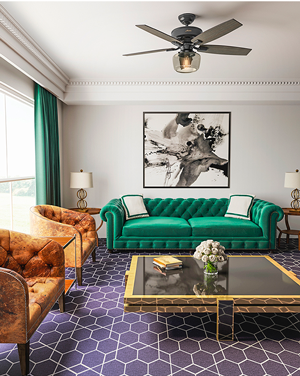 I love to decorate with lots of textures, so the neutral palette doesn’t have to be boring. Flocked trees and furniture with a patina help achieve a nicely textured aesthetic, giving her home an elegant simplicity that has a calming effect. White, soft gold, green and gray make up the neutral palette that complements Jamie’s natural accents, giving her a clean background for her wintry escape. GREENERY GALORE. 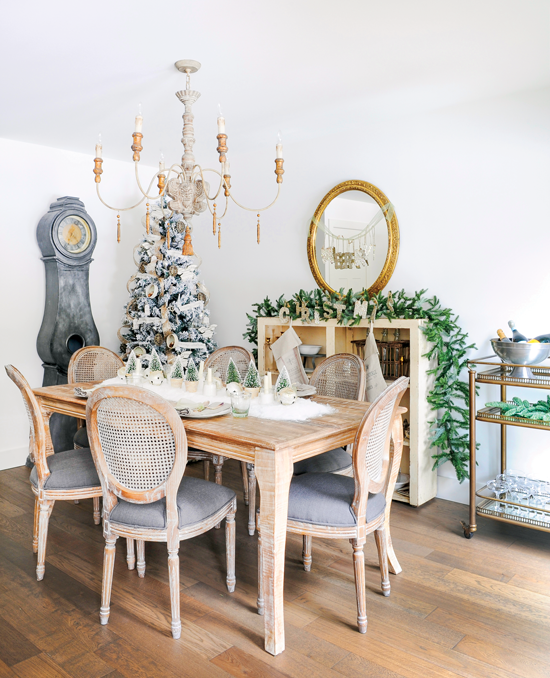 A variety of textures, including greenery, rustic accents, a beaded chandelier and a patterned rug, keeps the neutral palette intriguing and provides a chic and subtle holiday look. 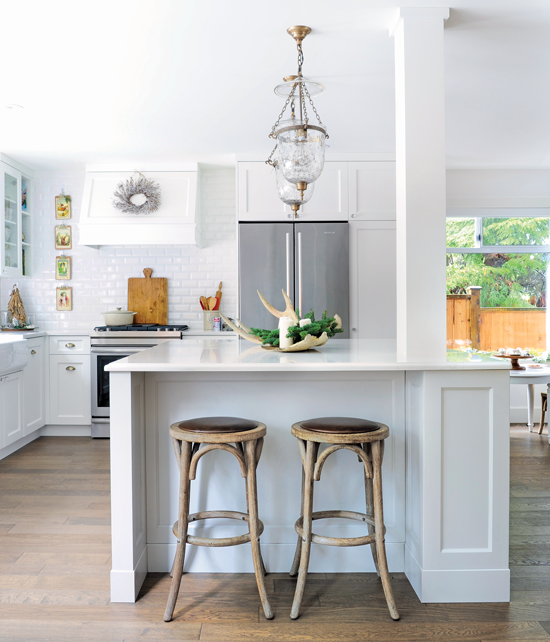 Jamie loves including old and antique pieces in her home, giving her year-round style a French flair that crosses over into her seasonal décor. “I love French vintage, and I try to keep it in line for decorating at Christmas as well,” she says. O CHRISTMAS TREE. 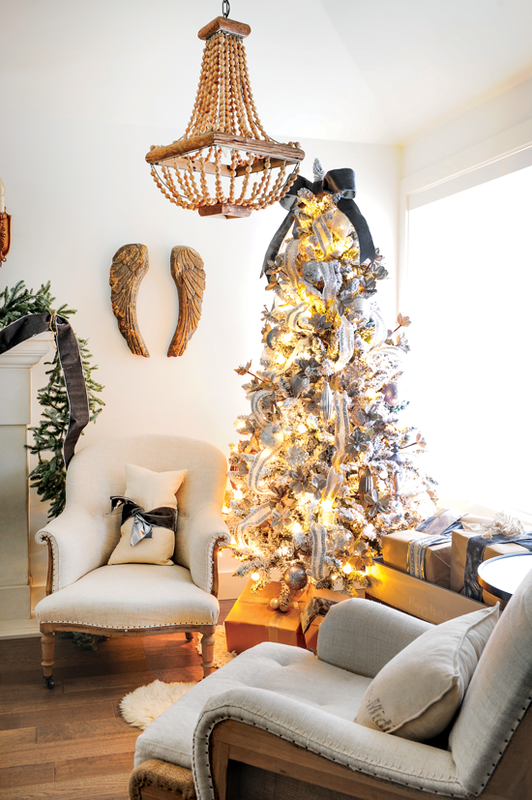 A prelit flocked tree gets a makeover with twigs, faux flower stems and large ornaments. Jamie created a tree topper by tying velvet ribbon in a large bow and then cascading ribbon down the sides. “I tried something new and it worked,” she says. CHRISTMAS CORNER. 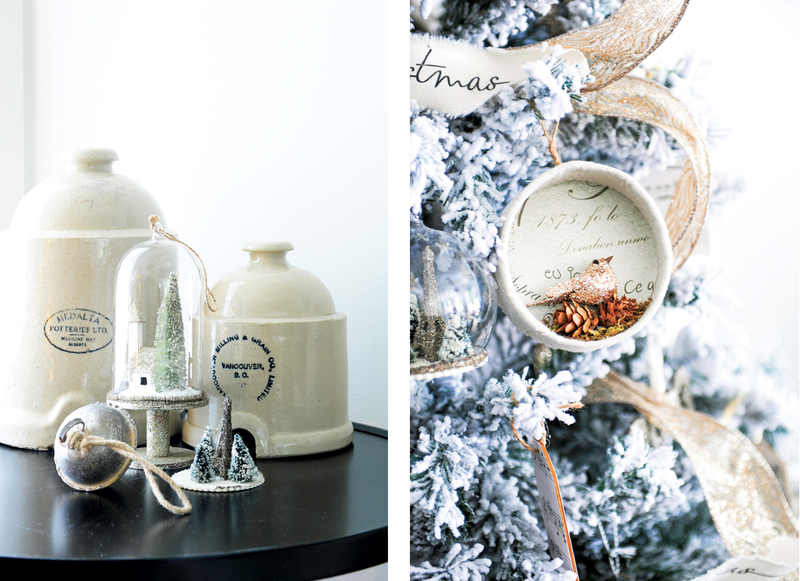 Antique stoneware crocks and a few ornaments of various heights create the perfect Christmas vignette. One of these pieces is a broken ornament from Jamie’s collection of French Eiffel Tower ornaments that she repurposed rather than throw it away. WINTER WONDERLAND. The dining room is filled with Christmas cheer, with its flocked tree, distressed furniture and bottlebrush-tree centerpiece. “I wanted a snowy winter wonderland, and there was so much going on with the tree that I didn’t want a big, tall centerpiece,” says Jamie. The tree is decorated with gold ornaments and her collection of French Eiffel Tower ornaments, as well as gold organza and Merry Christmas ribbons. Many of Jamie’s year-round vignettes remain the same at Christmas, with a few festive updates for the holidays. “I like to use different vessels to display things in a unique way—things that aren’t necessarily Christmas that might have touches of green and glitter, so I can keep them out all year,” she says. 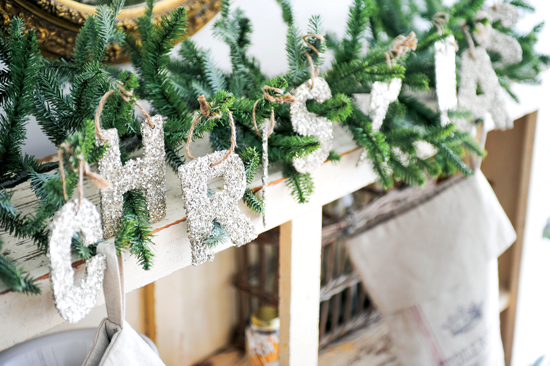 I add greenery throughout the house and bring in natural and rustic touches, so it doesn’t scream ‘Christmas. LET IT SNOW. The kitchen’s white foundation is an ideal backdrop for Christmas décor, as a few added pieces will allude to a snowy surrounding. 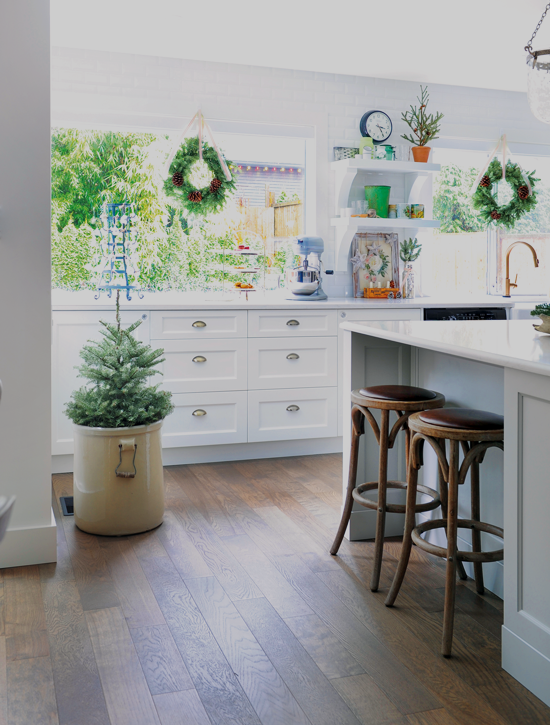 Miniature trees in stoneware crocks and a couple wreaths add holiday flair to the space. FESTIVE ACCENTS. 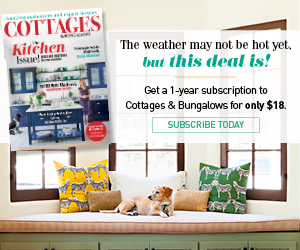 Jamie keeps it simple in the kitchen by adding to what’s already there. Hanging wreaths in the windows and planting a mini tree in one of her crocks adds just enough festivity to complement the snowy white foundation. Jamie uses greenery on multiple surfaces to add a winter touch in the kitchen, dining room and even the bathroom. 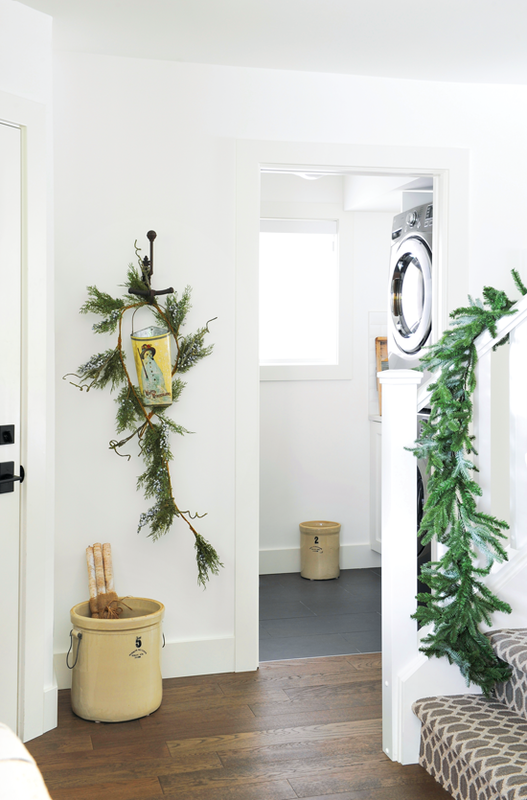 “I snip sprigs of evergreen to tuck in places around the house,” she says. “I like to mix real with faux, and it brings pops of the outdoors in.” Candle holders, bottles and window sills are some of the surfaces she chooses to sprinkle with greenery. 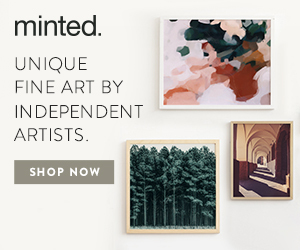 DECK THE WALLS. 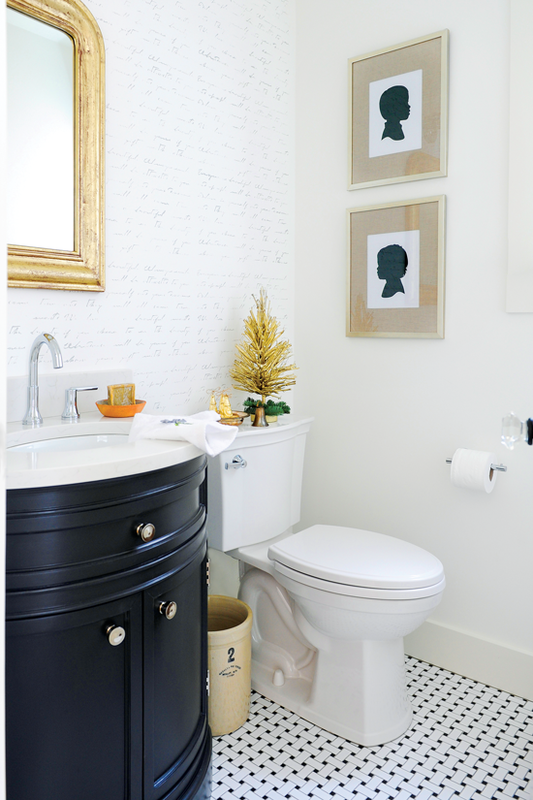 Using an illegible script stencil from Muddaritaville, Jamie painted one of the bathroom walls for an elegant wallpaper look. A golden tree and some evergreen clippings tie in the winter theme. Some of Jamie’s Christmas décor is handmade and adds a personal touch to her home. With inventive thinking, she made a wreath with sleeves from a sweater, Merry Christmas banners with strips of ribbon, a vintage banner with print-outs and clipboards and a stunning dining room table centerpiece, reminiscent of a winter village. 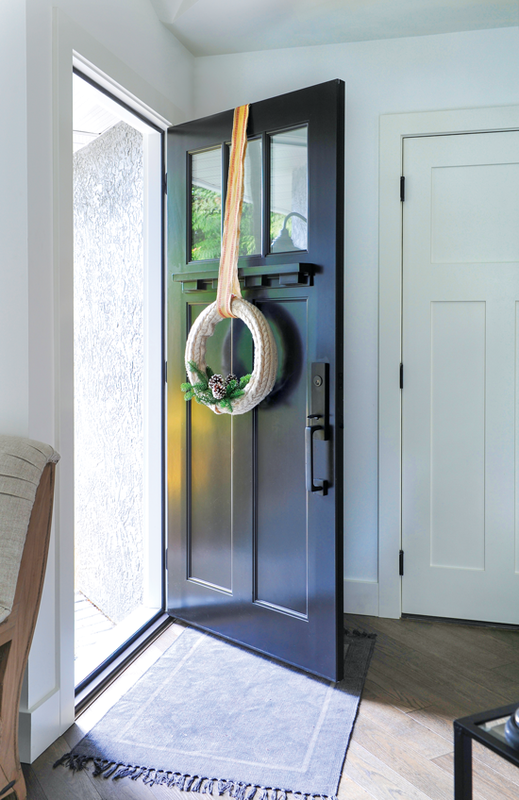 As Jamie’s décor demonstrates, all you need is some greenery and a touch of creativity for a seasonal look you’ll love. FESTIVE ADDITIONS. 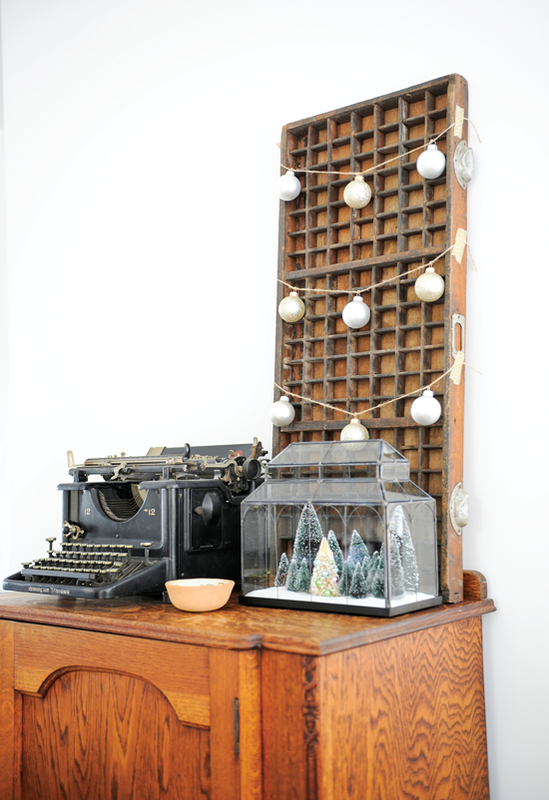 A printer’s tray is decorated with twine and ornaments, while a terrarium that usually holds succulents has bottlebrush trees in winter instead, proving that the smallest of additions can turn an everyday corner into a Christmas tribute. DIY WREATH. Instead of buying a wreath for her front door, Jamie made one out of Styrofoam and an old sweater. “I covered the parts where it’s cut with ribbon and greenery,” she says. Looking for more decorating ideas with a French Christmas twist? Check out this post about holiday style inspired by European elegance.